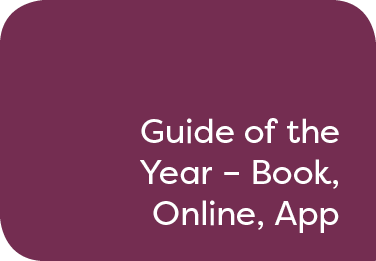 Nominated must guides have been published as an app, a book or online between 18 May 2018 to 18 May 2019, and contain a minimum of 5,000 words. Books: Nominees should send six copies of the publication to Natalie Jackson at APL Media, Unit 310, Highgate Studios, 53-79 Highgate Road, London NW5 1TL. Books must be either a first edition or a major revision published in the UK. App: Nominees should send a download link to the App along with instructions to access the App for free. Online: Nominees should send a link to the travel guide or body of work being entered. Judges will be looking for a travel guide that demonstrates good research, providing essential, easy to read insights to destinations that give the reader clear directions of places not to be missed.